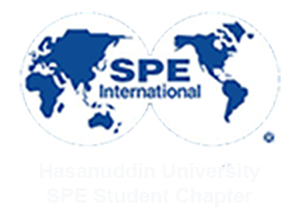 On February 7th2018, SPE Hasanuddin University SC held the Open House as a first step to introduce Society of Petroleum Engineers (SPE) to participants who want to join in the organization. Open House begins at 10.30 a.m by Muh. Syarwan Hamid as a moderator, and then given to Muh Resky Ariansyah as the President of SPE Hasanuddin University SC 2018. First of all our president talked about SPE International and continued by introducing SPE Hasanuddin University SC that one of the student chapter organization into Geophysics Department of Hasanuddin University. The next session was introduction of the five divisions in SPE Hasanuddin University SC. They are Event, Education, Human Resource Development, Research and Competition, and External Affairs. Not only that, there is a new division in this period like a Journalist, Multimedia, and Entrepreneurship. The formation of a new division is intended that the staff and members can have with their respective duties of the event that will be held. This Open House is going well because our president to bring the matter with his version serious but relaxed, so that participants not awkward to ask about before joining in SPE Hasanuddin University SC. “Trust to expand” is the symbol of SPE Hasanuddin University since the first period, aiming to build a spirit of member in working together in anorganization.This organization is one that can build and develop proffesional skills like we could meet directly with presenters who specialized in the field of oil and gas industry, communications,managing organization and of course established in the spirit of mutual cooperation among fellow members. The last session is informed about the opening scholarship of education assistance from SPE Balikpapan Section, that one of the SPE Section in Indonesia to supports SPE Hasanuddin University SC events carried out.